Can You Move Your Old Computer Windows License to a New PC? Can you transfer your Windows license between PCs? It depends–the answer isn’t so cut and dried. Microsoft makes this stuff confusing on purpose. Windows Activation has unclear rules to make piracy harder, while the System Builder license agreement forbids things real users do every day. Transferring a Windows license (product key) isn’t something the average PC user will ever need to do. Most people will purchase a computer with a Windows license preinstalled. When they upgrade to a new computer, the new computer comes with its own Windows license. Note that transferring a Windows license is different from actually moving an entire Windows installation to a new computer. That’s a lot harder to do, and it’s usually better to just perform a fresh install on the new computer if that’s what you need. You’re building a new computer from scratch and want to use your existing Windows license rather than paying $120 for a new one. Your computer’s motherboard failed and you needed to replace it. Windows activation considers a PC with a new motherboard to be an entirely new PC. Your computer died and you want to use its license to upgrade another computer running an older version of Windows. You’ve installed Windows in Boot Camp on a Mac and you want to move your Windows installation to another Mac. You’ve installed Windows in a virtual machine and you want to move it to a different virtual machine on another computer. In other words: if you already have a valid license lying around and don’t want to buy a new one, you’ll want to transfer it. No matter what type of license you have, you can only have it installed on one PC at a time. That’s Microsoft’s rule. So, while you may be able to move a license to another PC, you’re supposed to remove it from the first PC before you do that. You can do that by wiping the PC’s hard drive or even uninstalling the key from your Windows system. Large organizations can acquire special “volume licenses” that allow them to activate multiple computers with the same license key. However, that’s the only exception to this rule. You can upgrade a lot of hardware components without Windows freaking out, including the graphics card, RAM, and hard drive. But Windows doesn’t normally allow you to replace your computer’s motherboard. When your computer gets a new motherboard, Windows considers that an entirely new computer and will deactivate itself. While Windows won’t normally allow you to upgrade your computer’s motherboard, there’s one exception, as far as we know: If your motherboard fails and needs to be replaced, you can move your Windows installation to the “new computer” with the new motherboard. This exemption should be available no matter which type of license you’re using. It ensures you don’t have to buy a new Windows license for a PC if its motherboard breaks. However, to take advantage of this exemption, you’ll have to contact Microsoft via the phone activation process. You may have to talk to a representative and explain what you’re doing, or the automated system may just work. Manufacturers get these non-transferable licenses for less than you’d pay for a transferable license, hence the restriction. If you buy a “retail” “full version” license–this is generally only something you do if you’re building your own PC, installing Windows on a Mac, or using a virtual machine–you can move always move it to a new PC. After you move your license several times, Windows may give you an activation error and ask you to call Microsoft to activate your computer. Microsoft’s representatives will allow it. They just want to make sure you aren’t installing the same license on multiple PCs at a time. 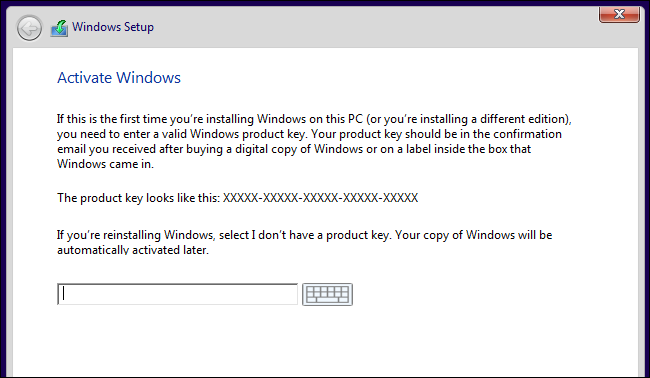 As long as you only have the product key installed on one PC at a time, you’re good. 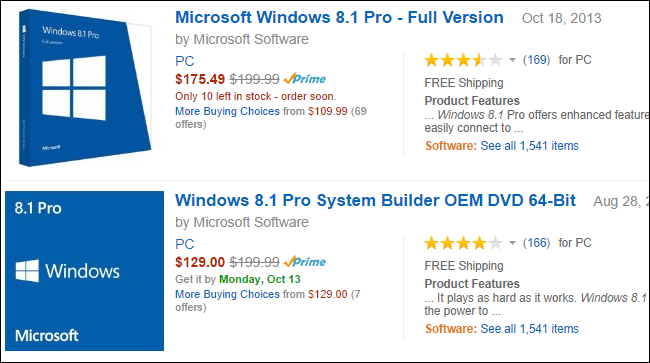 If you built your own computer and purchased a “system builder” or “OEM” license of Windows–which is slightly cheaper than the full retail license–that OEM license is supposed to become tied to the first computer you install it on. Specifically, this license becomes associated with that particular motherboard. According to the license agreement, you aren’t supposed to install that System Builder license on a new computer. But that’s just what the license says. While your System Builder license will likely fail to activate when you enter the product key on a second computer, there may be a way around this. After your product key fails, you can choose to activate via other methods and use Microsoft’s automated phone system. We’ve seen reports that this system will often activate the Windows installation for you where a normal product key fails. This isn’t technically allowed according to the license agreement, so it’s not guaranteed. Don’t count on this working! But we’ve heard enough real-world reports to know that this is a possibility. if you’ve taken advantage of the free Windows 10 upgrade offer, Microsoft registered your PC’s hardware as having a “digital entitlement“. You don’t actually receive a Windows license key. Instead, when you reinstall Windows 10 on that computer in the future, it will be automatically activated. There’s no way to move this “digital entitlement” license to a new computer. It’s associated with that particular hardware you upgraded to Windows 10. Yes, even if you upgraded a system that was running a Retail license of Windows 7 or 8.1 that allowed you to move it to other PCs, you can’t move the resulting Windows 10 license to a new PC. However, Microsoft should allow you to reactivate Windows 10 on a PC if you had to replace the motherboard because it was broken. It won’t automatically activate–you’ll have to contact Microsoft and explain you replaced the motherboard because it was broken. If you want the ability to move a Windows license between PCs as many times as you want–although it can only be installed on one PC at a time–be sure to get the “Retail” or “Full Version” license rather than the cheaper System Builder license. The System Builder license may migrate, but there’s no guarantee, so it’s worth the extra money for a license that’s designed to be moved. 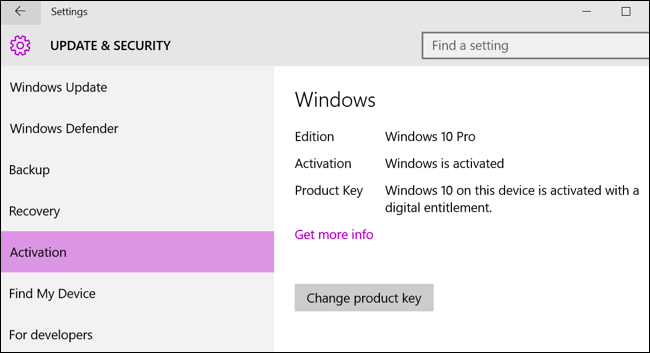 Of course, you don’t actually need a Windows product key to install and use Windows 10.